Rics first production was at Caulfield South State School when, at the age of six, he wrote and produced a play for the class. It took him a number of years to find out that some people make a living this way, but by then he was a law student at Melbourne University. Captivated by the bright lights and short skirts of show business, Ric soon abandoned the Law and moved into the Media, or Television as it was known in those days. It was the Sixties, when anything was possible and much of it was not illegal. Ric started GTK for the Australian Broadcasting Corporation, years before anyone thought of MTV or XTC and went on to work in Australian television for many years as a director and producer. Ric has a low threshold for boredom and dislikes the thought of producing a long-running series if it means he has to turn up every day. His solution was to produce special events, preferably televised spectacles so he can go home and watch the replay after work. The first in a long line of replays were the ceremonies for the 1982 Commonwealth Games. These were held in Brisbane and made such an impact in Australia that Ric left immediately for the United States. 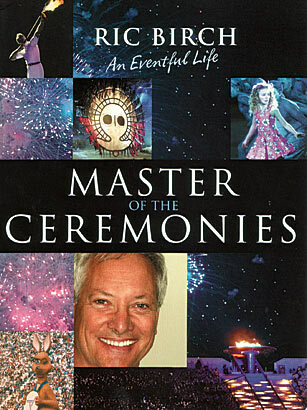 This was the best place to be for the ceremonies of the 1984 Los Angeles Olympic Games where Ric was allowed in free because he was the Director of Production.